Fight against corruption in Romania has started because the specialised anti-corruption office has been created and because people who work there have become independent within themselves. Independence is ensured in law both in Romania and Bulgaria but one should feel and behave as an independent prosecutor or a judge. 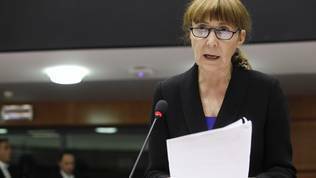 This is what MEP and former minister of Justice of Romania Monica Macovei told euinside in an interview during the late April plenary session of the European Parliament. Currently, in Romania there are many cases and many investigations of high level politicians which was made possible thanks to the bold and independent professionals. Romania is going forward and is not making a step back, Ms Macovei added. She responded to the interview invitation in the very last moment because of her busy agenda. Initially, her office declined the invitation because of too many meetings and engagements, but later they called back and after many reschedules and changes we managed to meet on 29 April in Strasbourg. The occasion was the first in its kind in-depth hearing of Bulgaria and Romania about the implementation of the two countries' commitments under the Cooperation and Verification Mechanism (CVM) that enabled the two countries to join the EU on 1 January 2007. From our conversation with Ms Macovei it was visible that the issue of the CVM was very close to her heart. Despite the problems with her agenda she was willing to talk about it and was passionate to help with anything not only her country but Bulgaria as well. She was indignant with the attempts of people from the two countries to lobby for the CVM to be abolished. "I was shocked when I heard that the CVM is perceived ironically by Bulgarian members of parliament because I really don't believe that the [progress] reports are not taken seriously by the Bulgarian media and population". In Romania, the reports are taken very seriously, she added. The Mechanism has still not played its role which is to make the reform of the judiciary and the fight against corruption and organised crime irreversible. This has not yet happened not in Bulgaria, not in Romania. At the heart of the problem is the political class. The CVM will disappear naturally when the process becomes irreversible. "When, no matter who is in power, things will not he changed. We are not there yet. Not in Romania, not in Bulgaria. In Romania we have strong institutions, anti-corruption institutions, judges, sentences, but the political power still fights this", she said and gave the example of the Romanian parliament which on the day we spoke in Strasbourg rejected a request to waive the immunity of a member of parliament. Moreover, while Prime Minister Victor Ponta was lobbying in Brussels the CVM to be abolished a member of his party tabled a proposal to remove the pre-trial arrest for corruption crimes. The proposal was approved by the Senate legal committee. Have you heard anything like this, exclaimed Monica Macovei, not to arrest someone on corruption charges. This is precisely why the CVM must stay because if it did not exist the Romanian, now very powerful, anti-corruption office would have been dismantled. The greatest test for the independence of the judiciary is to prosecute high level politicians, she said. This means to resist when the phone rings. A recipe of success is to have a strong minister of justice who, despite everything, is ready to push for the reform. Someone has to make the first step. In Romania, Ms Macovei remembers, she had the support of the president who told her: "Act, no matter who it is". The only thing you need then is evidence because you know that the phone will not ring. Why is this not happening in Bulgaria she does not know. May be, she guesses, it is the lack of a strong insurance of the political class - to know that this is your day, your time, that you can prosecute anyone without fear, she explains. "I knew what was my objective and I was stubborn. Even at a time when the whole government was against me I did not give in. When you do big things like this - anti-corruption in your country - then you take the risk. What is the risk? To be fired. Okay then. I take the risk, fire me! So, you go forward. I don't believe a minister who says 'I want to do something but there is no political will and the government puts hurdles'. Then leave the government. This is the path", she said being late for her next appointment in Strasbourg but it was important to her to convey that particular message to the Bulgarian audience. She is firmly against making changes to the CVM with the aim to expand it or upgrade it. And the reason is not that this is not necessary but because there is a risk the Mechanism to be additionally weakened. "A change would mean a possibility to lobby before the Commission and you never know what will happen. This is my experience. Let us leave it the way it is, let us not touch it. This is a decision of the Commission. We do not want politicians to be able to start interfering in this. If there is a new decision they might delete something that is now important", the Romanian MEP added. This could happen if the Commission made a proposal which then has to be approved by the European Parliament and most of all the Council. In the Council all member states have equal voice. It is enough one country to vote against it and the entire proposal to be rejected. Another option is long trilateral negotiations that could lead to a significant weakening of the CVM. An example of such efforts is the common European prosecution office. 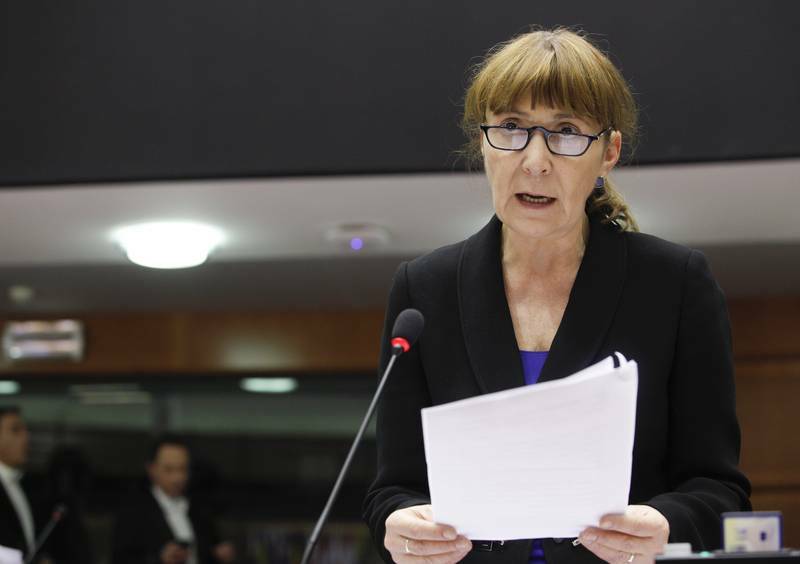 Monica Macovei believes that Jean-Claude Juncker's promise to the two countries the CVM to be abolished by the end of his term is due to the fact that he does not know the Mechanism well. He will realise this, she assures, because the CVM was established to serve the people and they want free justice, fight against organised corruption equality before the law. "If a politician is corrupt they want the money to be restored and the politician to be punished, which means to serve the people. And last but not least, the two countries have to fulfil the commitments they made when they joined the EU", Monica Macovei added. Well, just ask her where did the money used to fund her campaign for becoming a MEP come from. Hint: bribery from Microsoft. Any bells ringing?